March 14, 2011 - A representative of a founding member of the Coalition to Save Our GPS told a House subcommittee on Friday that a recent action by the Federal Communications Commission (FCC) could cause "consequences of disruption" to the Global Positioning Systems (GPS) that will be "far reaching, likely to affect large portions of the population and the federal government." In testimony prepared for delivery before the Subcommittee on Commerce, Justice and Science of the House Appropriations Committee, Trimble Vice President and General Counsel Jim Kirkland stated that a recent highly unusual FCC decision to grant a conditional waiver allowing the dramatic expansion of terrestrial use of the satellite spectrum immediately neighboring that of GPS creates a serious risk of severe interference to millions of GPS receivers. The conditional waiver was granted to a company called LightSquared. Kirkland testified one day following the launch of the Coalition to Save Our GPS, comprised of representatives of a wide variety of industries and companies who have joined together to resolve this serious threat to GPS. Your can read the full testimony. Kirkland said that, "Initial technical analyses have shown that the distant, low-powered GPS signals would receive substantial interference from high-powered, close-proximity transmissions from a network of ground stations. The consequences of disruption to the GPS signals are far reaching, likely to affect large portions of the population and the federal government. Therefore, it is imperative that the new system not be deployed unless it can be conclusively guaranteed that the GPS users are fully protected from radio interference." He declared that "LightSquared's proposal to build 40,000 terrestrial base stations operating at 1 billion times the power levels of GPS signals as received on earth represents a tectonic change in the use of this band. While the GPS community lauds efforts to add new broadband competition and free up spectrum for mobile uses, this must be done in the context of rational, long term spectrum planning, rather than the rushed, ad hoc waiver process followed by the FCC to date. "Spectrum is a public asset and it should not lightly be handed over at the behest of a private party. More fundamentally, the laws of physics cannot be waived by the FCC. This is a serious problem with no obvious solution." Kirkland outlined the 30 year history of GPS, describing it as "a critical and extremely reliable part of our national infrastructure. Millions use it every day," and spoke in detail about the myriad uses of GPS in widely varying sectors of American life, including public safety; homeland security; consumers; aviation; transportation; agriculture; forestry; engineering and construction; surveying, mapping and land management; utilities, natural resources, disaster management and scientific research. 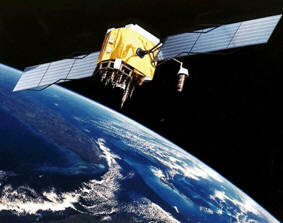 The "Coalition to Save Our GPS" is working to resolve a serious threat to the Global Positioning System. The FCC granted a highly unusual conditional waiver for a proposal to build 40,000 ground stations that could cause widespread interference with GPS signals ? endangering a national utility which millions of Americans rely on every day. The conditional waiver was granted to a company called LightSquared.